by Thomas V. Metz, Jr.
Companies with strategic value—as opposed to financial value—exist in a variety of industries, but they’re predominantly found in today’s ever-growing technology, software, and service industries. Almost every one of these businesses will transfer ownership at some point in time, the vast majority through an outright sale of the company. But those responsible for handling transactions involving companies with intangible value are often faced with a number of hard questions: How will the buyer perceive value? In which sectors can the best buyers be found? Can the right investment banker add value to the transaction? Selling the Intangible Company, Thomas Metz helps entrepreneurs and CEOs to better understand the process and nuances of selling a company whose value is strategic. He addresses all the key issues surrounding the sale of a company in which the value is in its technology, its software, and its know-how—but has not yet shown up on its balance sheet. Metz reveals the important subtleties surrounding the sale of companies whose value is strategic, such as how selling a company with strategic value is different than selling a company with financial value and why small transactions have different dynamics than large transactions. He identifies the best time to consider selling and debunks many of the common myths surrounding the sale process. Drawing from his 25 years of experience in this area, Metz offers invaluable advice on negotiating the price of an intangible company, identifies the common negotiating mistakes and examines the pros and cons of the sale of stock versus a sale of assets. He also looks at transaction currency alternatives and how creative structuring can overcome unusual deal problems. In addition, he tells how to select an investment banker, attorney, and accountant—and explains why a CEO should not sell the company himself. Deals such as these can be a complex, sometimes perplexing process. 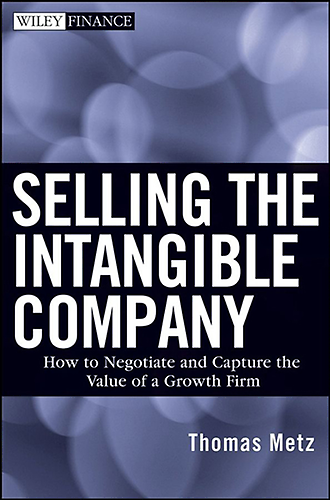 Selling the Intangible Company provides the essential information necessary for business professionals and technology CEOs who need to understand the nuances of selling a company with intangible value. "Tom Metz brings a world of common sense and practical expertise to an area where it is desperately needed. Untold wealth and value are wasted repeatedly through buyers and sellers misunderstanding the nature of strategic value and how it translates into not only sales price, but company disposition. If you are entering into a transaction of this sort, you must read this book." Tom Metz has captured the essence of deal-making, in what surely is one of the most readable texts written thus far. Every chapter would be useful for our CEOs who are capturing value by partnering or getting ready to embark on the M&A pathway, and it will be 'required reading' for our first-time CEOs. His insights and humor shine through, making this one of the more enjoyable business books available today." "I plan to provide copies of Tom Metz's book to my CEOs, CFOs, and fellow board members requesting a discussion of it well before serious shareholder liquidity becomes a possibility. In his relatively short book, Tom has provided a very complete discussion of the important aspects of selling any company, but especially one whose value is difficult to determine." "Mr. Metz draws on experience, creativity, process, game theory, and, most of all, empathy in guiding CEOs through the maze of techniques and myriad of paths one can follow during a sell side transaction for small tech companies." "Tom Metz has always focused on deals that require creativity to complete successfully. He shows how perception can be more important than analysis and how extrinsic value is in the eye of the beholder. These days, M&A is the path to liquidity in the vast majority of cases and this book helps those concerned to understand the typical factors comprising the deals. Actual 'war stories' illustrate different deal scenarios." 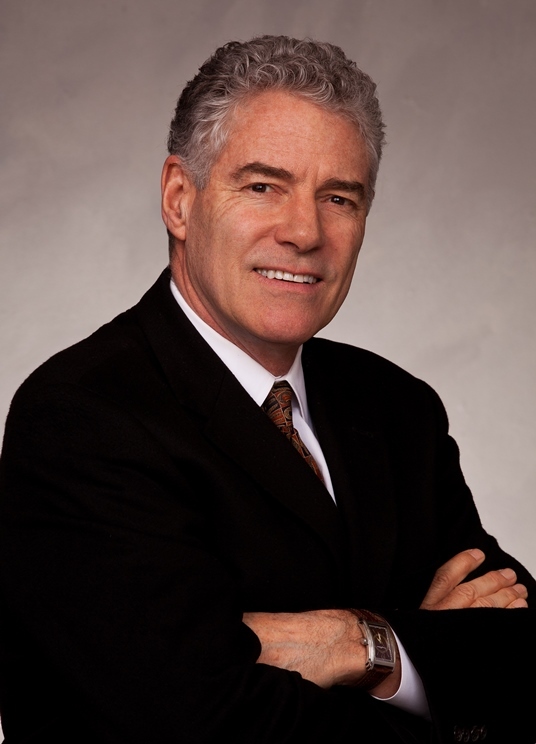 Thomas Metz has been a boutique investment banker for more than 30 years. He founded T.V. Metz & Co., LLC, in 1983 and has a diverse corporate finance background. Metz’s primary specialization is selling technology, software, and service companies. Previously, he invested venture capital for an investment firm and managed new business projects for Gramark Co., a private holding company. Metz has degrees in Mathematics and Computer Science from the University of Oregon and an MBA from the University of California at Berkeley. He also authored Perfect Your Exit Strategy—7 Steps to Maximum Value, published by Bettencourt Publishing in 2016.